It is the perfect theme for design and lifestyle related magazines and sites. Some might argue the Super Grid is the most beautifully designed WordPress theme of 2016/17. Installing the Super Grid Theme 3.0 is as easy as it gets. Check the Installation & Setup Guide no need to break into a sweat. 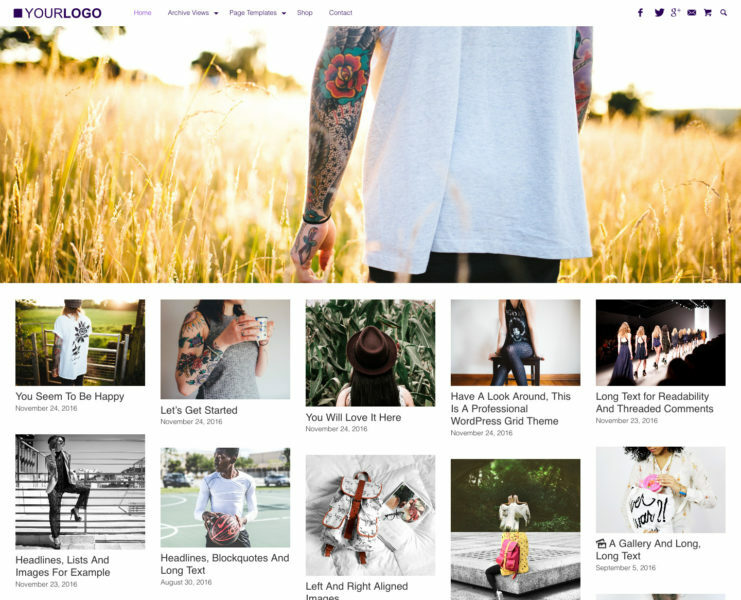 Get your site elevated with the Super Grid Theme 3.0 today. Your success will be accelerated. It′s your turn to make headway!